Arun Panchariya is President and Board Member at Euram Bank Asia Ltd. – a company registered with DIFC and regulated by DFSA, Dubai (UAE). He is also a director and Fund Manager of India Focus Cardinal Fund, a broad based fund registered with FSC, Mauritius and is actively managing the fund. Mr. Panchariya has also worked as Managing Director of Pan Asia Advisors Ltd. U.K., the FSA regulated investment banking firm and Vintage FZE, Dubai (UAE) – a multi product trading company. Mr. Panchariya now has over fifteen years of experience including ten years of experience in financial services that includes private equity and retail banking across different geographic locations and deal sizes. He is also experienced in trading of direct equities, commodities, futures, derivatives and other financial and money market instruments. Vijay Goel is Sr. Partner in Singhania & Co for more than 12 years. He advises clients on matter relating to corporate law, laws related to joint venture and foreign collab- orations, and expertises in real estate transactions. He has worked with American and Indian companies for their listing on AIM. He is the founder of Indo- European Business Forum where in which a number of House of Lords, Member of Parliament and Member of European Parliaments are involved. Vijay was awarded National Law Day award from Honarable President of India Smt Pratibha Patil. 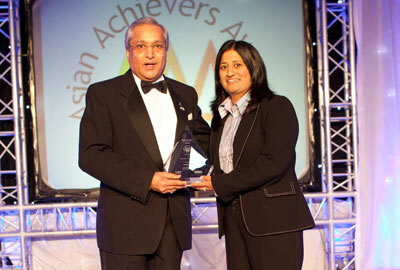 He was awarded the Asian Leadership award in Europe 2009. He is Special Advisor to the Commonwealth Business Council, He is an advisor to Loomba trust as well. He is also on board of The Rajasthani Foundation. Maneck Dalal was educated at Cambridge University and called to the bar in London in 1945. He rapidly progressed in the fields of business and diplomacy. 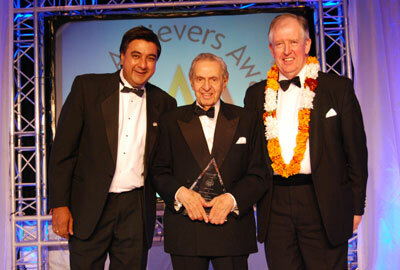 When he was only 29, he started Air India in the UK in 1948 and became the airline’s first Regional Director. In 1973 he became the Indian Government’s Adviser for Tourism and Civil Aviation. 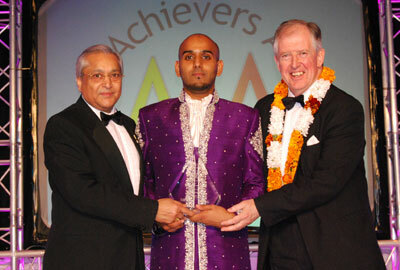 He has been Patron and Chairman for many organisations. Mr Maneck Dalal succeeded Lord Menuhin as Chairman of Bharatiya Vidya Bhavan UK short- ly after it was established in the UK in 1972. In recognition of his outstanding achievements, be was made an Officer of the British Empire. This was conferred by Her Majesty The Queen in 1997. Anjali Bulley is the Managing Editor of V&A Publishing at the Victoria and Albert Museum, previously Senior Editor at the National Portrait Gallery, London. V&A Publishing is one of the world’s leading Museum publishers, with an outstanding reputation among experts and academics and the commercial market, particularly the fashion list, which is one of the market leaders. Anjali is responsible for imple- menting the publishing list through the commissioning and project management of exhibition catalogues, general books and educational publications to complement the V&A’s world renowned programme of art, photography and collection exhibitions. Anjali’s role also includes initiating and developing new titles, managing external picture researchers, designers and editors, as well as managing the inhouse editorial team. Her recent key achievements include British Asian Style: Fashion and Textiles and Maharaja: The Splendour of India’s Royal Courts. Ravi Bopara (born 4 May 1985, Forest Gate, Newham, London) is an English cricketer who plays for Essex and England. He is the second Sikh to play cricket for England, after Monty Panesar. He was first called up to the England ODI team in 2007, before a difficult Test debut in Sri Lanka saw him dropped in early 2008 after a string of three ducks. He regained his place for a Test against the West Indies in the winter of 2008-09,however, and scored a century batting at number three. Bopara held on to the num- ber three position for the May 2009 home Test series against the West Indies, scor- ing a century in both tests, and was named in the preliminary 2009 Ashes squad- Bopara has also enjoyed success in the Indian Premier League, where he plays for the Kings XI Punjab. Pavani Reddy is a Solicitor and is the Managing Partner of the firm Zaiwalla & Co since 2005 and specialises in international arbitration, commercial dispute resolution and litigation. She has acted on various issues for clients including some Fortune 500 companies. Pavani handles high value commercial cases in the London High Court, Court of Appeal and the Supreme Court of England and Wales. She has recently been acting on behalf of the Consensus Business Group and R20 (Vincent and Robert Tchenguiz) in various Company Litigation matters, including the highly publicised case of Imerman v Tchenguiz, surrounding the use of confidential documents, before the Court of Appeal. Pavani is a member of vari- ous associations including IMA (Indian Maritime Association), a supporting member of the LMAA (London Maritime Arbitrators Association) and IBA (International Bar Association). 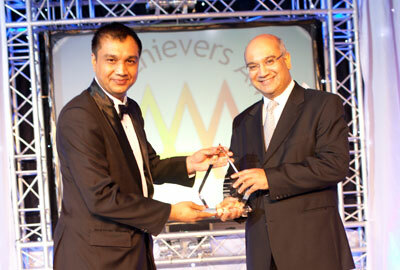 Riz Navsarka is the Managing Director of MesmerEyez cosmetics (Navsarka Ltd). It is the UK’s leading and the worlds most inno- vative cosmetic coloured contact lens com- pany. As a teenager Riz grew up in one of the most deprived areas of the U.K, Hillflields in Coventry. Starting at the age of 20 whilst studying he turned the £200 gained from a university loan, into to a multi-million pound business in less than 5 years. The company has grown drastically,175% whilst in a recession. MesmerEyez is available across the UK and around the world with distributors from Beijing to Iceland. It has revolutionised the cosmetics industry by bringing coloured contact lens to the mass cosmetic market with innova- tive designs, daily disposables and the worlds largest range of colours. Worn in London Fashion Week and seen in Vogue and Grazia, MesmerEyez has become a brand synonymous with eye colour change. 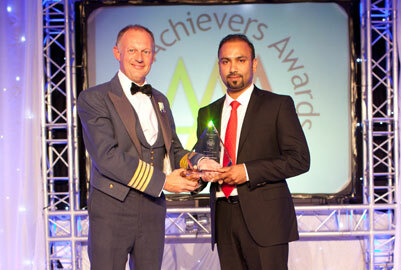 Sukhpal Singh Ahluwalia Wembley-based motor industry entrepreneur, Sukhpal Singh Ahluwalia of Euro Car Parts, started as a teenager in a “one-man business”. Sukhpal Singh Ahluwalia has built Euro Car Parts Ltd into the UK’s largest independent dis- tributor of replacement car parts. Early in this career, he identified that the UK’s 30,000 car garages needed immediate access to a wide range of car parts for the huge array of vehicles on the road, allowing repairs to be completed the same day, sometimes even while the car owner waited. As a result Euro Car Parts was born and since then Sukhpal Singh Ahluwalia has built a formidable international supply chain distribution and 80 plus branches marketing operation which meets all of these needs. ECP is the largest supplier of parts for all makes of car and light commercial vehicles. They now employ over 3000 people, the turn over will exceed 300 million this year and they have also opened a 400,000 sq ft national distribution centre in Tamworth creating over 600 jobs. 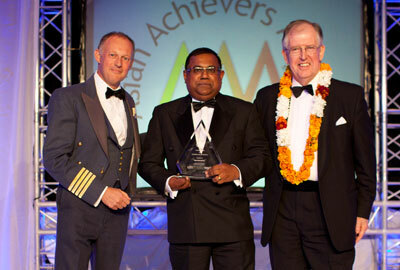 Bala Mahendran has been the Chief Executive at Basildon District Council since January 2005. 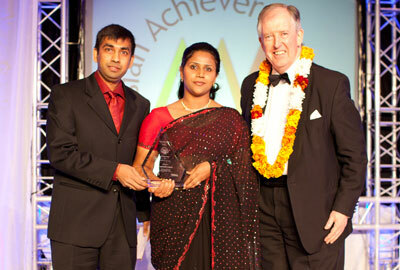 Having graduated in mechanical engineering, Bala has held various senior positions in a num- ber of Local authorities. Under his leadership, Basildon has embarked on an ambitious regen- eration programme which includes the develop- ment of a multi-million pound heritage centre near Pitsea and the construction of a £38 million sporting complex with ambitions to be the best leisure facility in the Eastern region. As Chairman of the Basildon Community Safety Partnership, Bala has helped oversee a 37% reduction in local crime over 5 years. Bala has created Business partnership agreement with China and is currently initiating an equivalent venture in India.Bala was appointed to advise the Treasury’s ‘Financial Inclusion Taskforce’, and has previously worked on the Bertelsmann Foundation’s “Cities of Tomorrow” project – an international initiative tackling issues affecting young people. Dr Nora Vyas is a visiting lecturer and post- doctoral researcher. She achieved her PhD in Psychiatry and Cognitive Neuroscience from University of London. Her research focused on investigating the influence of genes on cognitive functioning in children and adolescents with schizophrenia and their biological relatives. 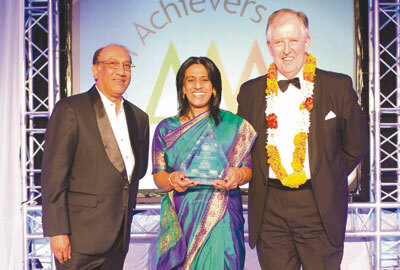 She has received international recognition for her work in schizophrenia. She has been recipient of numerous awards early in her academic career including the Young Researcher Award (2008) and Young Scientist Award (2009). She has recently been awarded the prestigious Fulbright Distinguished Scholar Award (2010-2011) by the US-UK Fulbright Commission and awarded membership of Continental Who’s Who 2010-2011. She has published her work widely in journals such as the British Journal of Psychiatry, Journal of Nuclear Medicine, Biological Psychiatry and Expert Review of Neurotherapeutics. Subaskaran Allirajah has over15 years experience leading the prepaid telecommunications market where as a keen entrepreneur he has a proven track record of realising key opportunities to grow the Lycatel and Lycamobile brands. 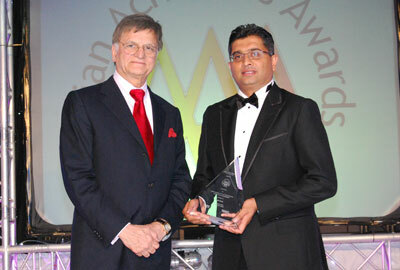 Subas’s knowledge, drive and determination have been instrumental in the success of the Lycatel and Lycamobile brands, driving Lycatel into the global market leadership position for the calling card industry and Lycamobile into the European market leading international prepaid mobile business. Lycatel now enjoys operations in 15 global markets, has over 9 million customers and originates over 19 billion minutes of telecoms traffic per year. Lycamobile launched in 2006 is now present in nine European markets, has over 6 million customers and is recognised as the leading international mobile provider t for those that need to call family, friends and colleagues in international markets. Lycamobile under Subas’s leadership is on target to achieve its mission of acquiring 7 million customers in 2011 and has now set its sights on acquiring 20 million global subscribers by 2012. 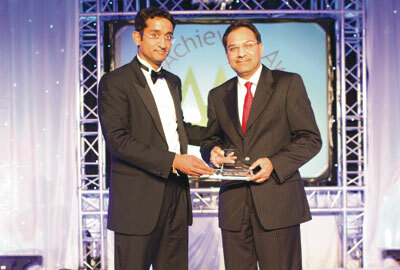 Lycamobile is on track expand its global footprint with further market launches planned in 2010 and 2011. 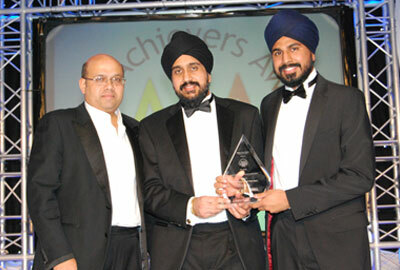 Jason and Dennis Singh Digwa are Directors of RGB, Hifi & Video Ltd. Since taking over RGB from CEO Mr Peter Digwa, the broth- ers Kirpan (Dennis) and Satpal (Jason) have taken the business to a greater height. 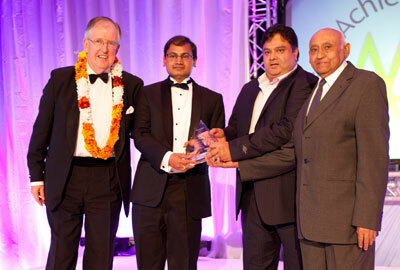 Their new flagship showroom was opened by the Mayor of Redbridge and the Mayor of London, Boris Johnson. With a turnover of over £ 20 million, they have major plans to grow the business organically. 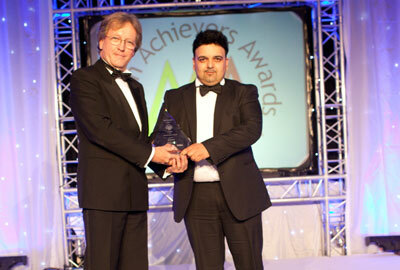 Winner of many Industry Awards and are now amongst the largest retailers of Audio visual Equipment in UK. They deal with all the major brands including Sony, Panasonic and Philips. Bobby Karia Whizzgroup of Companies was established in April 2003 with the key business in mind which are Whizzworkers which deals with international recruitment from India, Dubai, China and Thailand for the recruitment of Hospitality personnel to the United Kingdom. Whizzpermits is the immigration work permit specialist company that deals with all applications for the UK immigration ranging from Tier 1 to Tier 5 and sponsor license applications and are recognised by the UKBA for assistance with the sponsorship license. Bobby’s business activates are property portfolio. He also launched the Evissia brand which is an online beauty lounge selling beauty products and fashion jeweller. 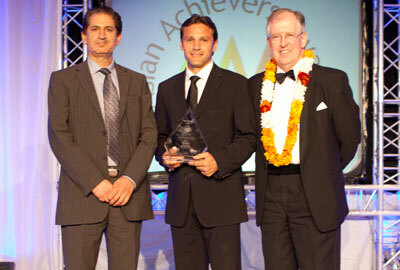 Amit Patel is the Managing Director of the Auden Mckenzie Group of companies. Whilst the Group’s primary focus is Pharmaceutical licensing, manufacturing and distribution, it also holds a portfolio of properties in the UK. Having established the company in 2001 with only one injectable product, the company now holds in excess of 40 UK Pharmaceutical Product Licenses, 14 European and 1 US Licenses. Supplying pharmacies, hospitals and wholesalers in the UK and Internationally, Auden Mckenzie has recently moved into a new state of the art manufacturing, quality control and distribution facilities. 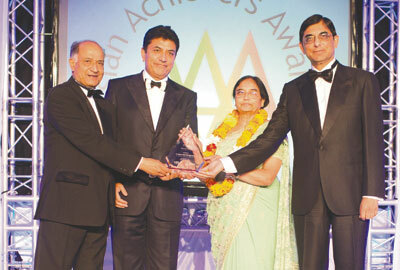 Amit runs the company with his sister Meeta, who overseas day-to-day operations. The Group’s success was recognized this year by the Sunday Times with a prominent position in the Profit Track 100 League table. Sanjiv Mehta , is the proud owner of the 400 year old brand, The East India Company. Sanjiv upon graduating from Sydenham College, Mumbai University in finance and completing a diploma course in Gemmology in the United States; he joined the family diamond trading business upon his return. Sanjiv’s ambition extended beyond just the jewellery busi- ness, and over the years he built an international trading business across a range of products, including metals, petrochemicals, FMCG, coffee and tea – which ultimately led him to a professional introduction to The East India Company. Over the last 6 years Sanjiv has worked to position The East India Company as a global luxury brand, building a brand identity and a core team to launch the company’s strate- gies, the first of which is a Fine Foods company, with its flagship store in Conduit Street,Mayfair.